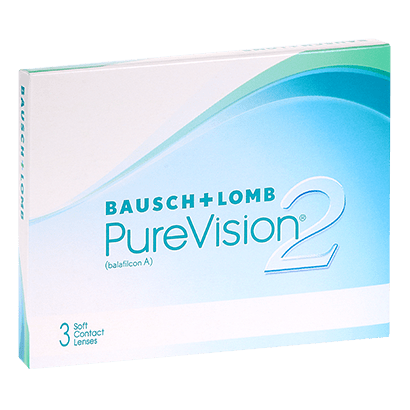 Highly comfortable and offering exceptional performance, PureVision2 contact lenses by Bausch & Lomb are the perfect monthly contact lens choice for modern living. With a design featuring High Definition Optics, you can rely on clear and precise vision, uninterrupted by halos or glares. Enjoy freedom from glasses frames, without having to compromise on performance or comfort with PureVision2 contact lenses. These silicone hydrogel contact lenses are designed to stand up to the demands of the working day, with a highly breathable and wettable design keeping eyes fresh, hydrated and healthy. ComfortMoist Technology ensure your PureVision contact lenses stay moist and comfortable to wear even as the hours go by. 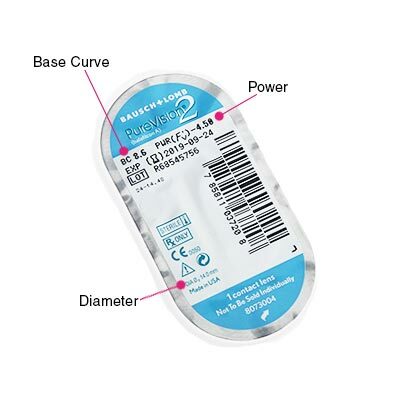 You won’t have to worry about dry eyes from digital screen use, air conditioning and indoor heating when you wear these silicone hydrogel contacts. 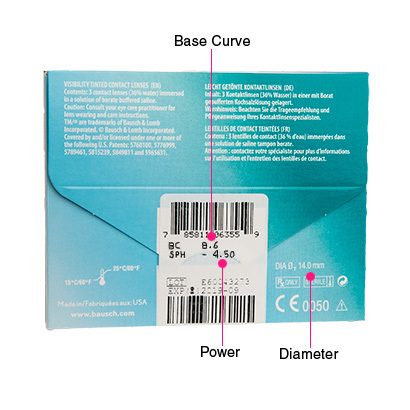 Suitable to wear for up to 16 hours a day, these monthly contact lenses can even be worn as extended wear lenses. If approved by your optician, this means that you’ll be able to wear them day and night, even while sleeping, for up to 30 days. For daily wear however, you’ll simply need to remove them before bed and clean and store them in fresh contact lens solution. This way you can be sure your PureVision2 contact lenses are as good as new the next morning, and hygienic, safe and comfortable to wear. 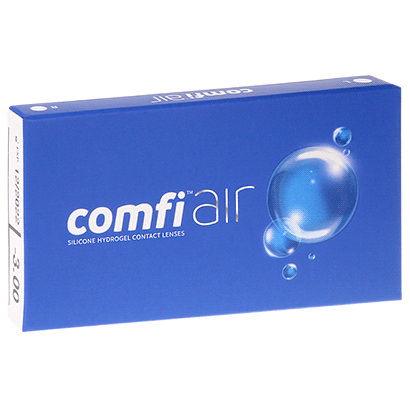 We recommend the popular comfi All-in-One Solution for your contact lens cleaning routine. Love these contact lens, very comfortable forget you have them in. Speedy delivery as ever. Amazes me. Brilliant lenses! Cannot feel them during wearing day and night for an entire month without issue. Soft contact lenses easy to use. I am using them for 7 years and keep going as I am happy with them. Arrived next day, love one click ordering, so easy. thanks! Yes they were Great, my contacts were the right ones and they arrived the next day= I would recommend them to amyone GREAT!!!!!!!!! My lenses used to cost twice as much from the opticians...of course I still have my eyes checked regularly! Soft, easy to wear lenses. Very comfortable. Trouble free. Good price. Comfortable. Brilliant lenses which I can sleep in if I want to! Excellent value for money. I have recommended Feelgood Contacts to a friend & she is as delighted as me with the service. Comfortable and just right for me. I have used these extended wear Contact Lenses for some years now and never have any issues related to wearing them. I sleep with them in and also swim with them in - great product and saves me having to wear Joe 90 Specs! Best extended wear lenses I have tried. Been using these for one year now, very comfortable, I would advise to be taken off during the sleep period though. Service and price at Feelgood are second to none.Order arrived within a few days and£90 cheaper than my high street optician ! these lenses are extremely comfortable to wear - would definitly recommened! Good product. no problems with these lenses. Never had any problems with these. Product is exactly as advertised. Arrived quickly and in good condition. These are the most comfortable extended wear lenses I have tried. I have tried 4 different types over the years but keep coming back to these. Really happy with purchase however eyes do feel dry sometimes but just need to give them a clean and all is well. Very soft and easy to use. Great lenses can wear them all day without any problems would definitely recommend! Great contact lens - very comfy - you cannot go wrong. I''m not sure about these lenses yet, I get very dry eyes so they may not be the best for me me but I''ll persevere. I can''t wear them for more than 12 hours at the moment but that''s just me. They''re the best contact lenses that I know of. You can sleep with them in, but I make sure to take them out at night, personally I feel I sleep better without. I''ve been using them for many years and have never had a problem. Very happy with my lenses, great customer service and fast shipping. Excellent service and very comfortable lenses. Highly recommended, thank you. Great comfort. Put in and forget for the month. Superb! Clear vision and excellent comfort. I wear my lenses all the time and find these lenses are ideally suited to my lifestyle. really confortables, and good quality. Ultra thin lenses, very comfortable. Definitely a new favourite! No different in quality to the previous lenses. Perfect for anyone who just wants to leave there lenses in for weeks!! Never feel uncomfortable or dry out,used by myself and my daughter.